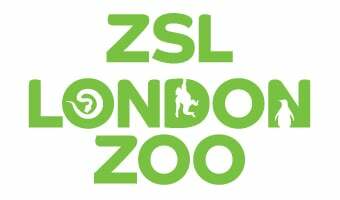 ZSL London Zoo seeks to provide equal opportunity for all to enjoy the animal exhibits and visitor facilities. There is a disabled parking bay in front of the entrance to the Zoo, and disabled visitors can also park on the main road for up to four hours. We do also have disabled parking spaces in the main car park. The Zoo is more than 170 years old and contains many old buildings, 12 of which are listed. However, most of the Zoo is accessible for wheelchair users and those with walking difficulties. Land of the Lions is wheelchair friendly and has a lift available for visitors to use. Tiger Territory is wheelchair friendly and has a lift available for visitors to access the higher viewing platform. The Aquarium has wheelchair access via an entrance to the left of the main doorway. The historic Lubetkin penguin pool (listed Grade 1) has limited viewing for wheelchair users and very small children. The paths are generally tarmac and there is level or ramped access to most buildings. We should also add that the slopes leading to the two tunnels in the Zoo are rather steep. We have a limited number of wheelchairs available for hire. We recommend booking these in advance by ringing Supporter Services on 0344 225 1826 or emailing generalenquiries@zsl.org. A deposit of £25 will be required, which will be refunded when the wheelchair is returned undamaged. Access for some conference and banqueting rooms is limited or currently unavailable. The following areas are fully equipped – The Prince Albert suite, Huxley Lecture Theatre, Bartlett Room and Regent’s Canal Room. The Raffles Suite and Mappin Pavilion have partial access facilities. Please contact us to find out more about the room you are using. 020 7449 6562 or email functions@zsl.org. Assistance dogs are not currently permitted inside ZSL London Zoo because some of our animals react negatively to their presence. We are working with Guide Dogs UK to resolve this and hope to be able to welcome dogs to certain areas of the Zoo in the future. In the meantime, please contact our support centre in advance of your visit to make alternative arrangements on 0344 225 1826 or email generalenquiries@zsl.org.